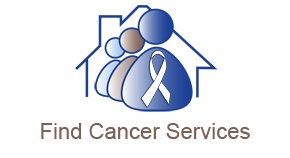 Texas Cancer Information - Where can I get screened for colon cancer? Colorectal cancer is the second leading cause of cancer deaths in Texas, but the number of people dying from this disease is dropping. One reason may be that colorectal cancer can be prevented by looking for cancer in people who do not have any symptoms of cancer. This is called screening and The University of Texas MD Anderson Cancer Center is working with primary care clinics to get this life-saving screening to patients in Texas communities. If your FIT test shows that you have blood in your stool, you will be offered a free colonoscopy. Contact a clinic from the list, below, to find out if you qualify to receive the free FIT colon cancer test. Patients who have already been diagnosed with colorectal polyps or cancer, or who have family members with colon polyps or colon cancer, should talk to a health care provider at the clinic about screening options. These projects are possible thanks to funding from the Cancer Prevention and Research Institute of Texas (CPRIT) and the 1115 Medicaid Waiver. Use the list, below, or double-click on a shaded county in the map, to find the nearest clinic that offers colorectal cancer screening. Clinics that serve a county are listed in alphabetical order by city and then by clinic name. Not every county has a clinic, so you may have to go outside your own county for services. 601 Rev Dr. Ransom Howard St.